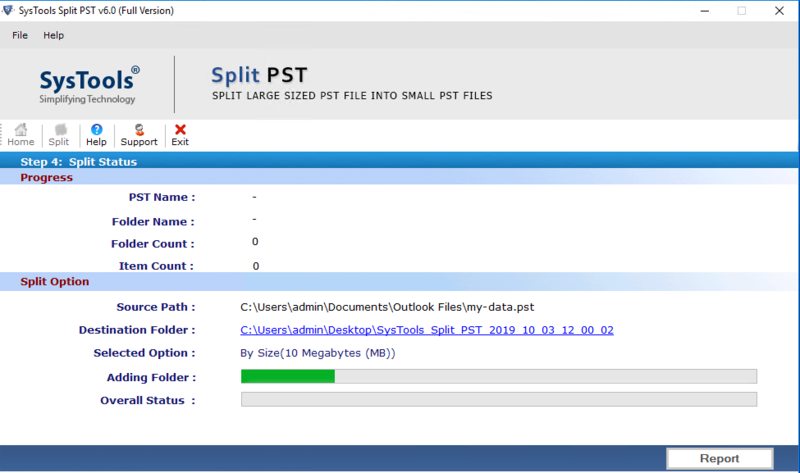 Outlook PST Splitter enables users to break up large PST file of Outlook 2016, 2013, 2010, 2007, and below versions. It will divide oversized PST file in numerous small files without any data loss. The application is designed with easy-to-use graphical user interface, permitting users to break files in a hassle-free manner. PST Splitter Supports for Corrupted PST File also. 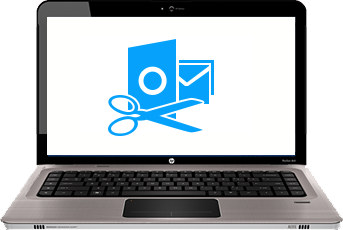 Cut PST Outlook file items: Emails, contacts, calendars, Tasks. The software enables users to break Outlook PST file into smaller parts by date. Users will have to specify a particular date range and then, tool will break file in 2 small size files. First part comprises of ‘of and prior’ the mentioned date and second part contains ‘after’ date range data. 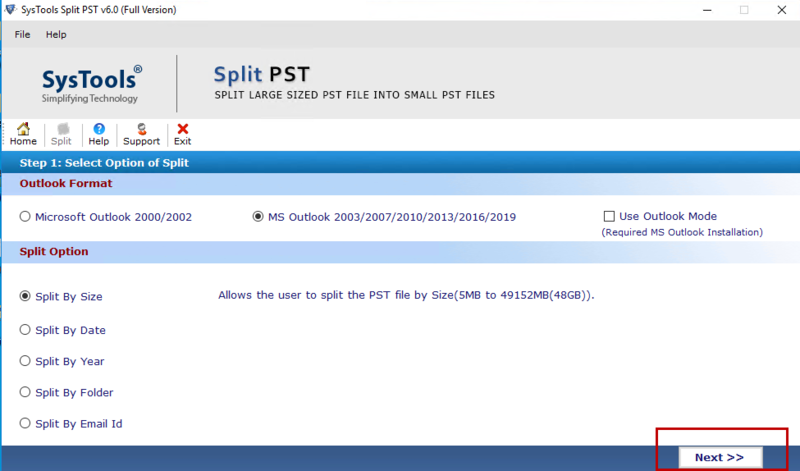 Microsoft Outlook PST Splitter permits clients to create an individual PST file from each folder present on processing file. One can also cut down size of the folder, if demanded for by them. Suppose source PST file is having Inbox and contacts folder then, inbox.pst and contacts.pst file will be created by this option. It is possible for a person to trim large PST file by any customized size into smaller parts. All resultant PST files will be having same size as per mentioned by an end user. It might be possible that the size of last output file be different from all other. It is so because this size is dependent upon overall size of PST file and size mentioned by the operator. The PST Splitter separates PST file based upon a year. Each resultant Outlook file will be having data of one year. For example: if you select file having data from year 2012 to 2016 then, tool will provide 5 different PST files. The overall size of such files will be dependent upon the data of each year. The product provides a risk-free approach to break PST file into smaller files. It will be splitting entire data of browsed PST file including its contacts, calendar, tasks, etc. Outlook emails are same before and after splitting operation. Moreover, the HTML and RTF email formatting is preserved in resultant files. Microsoft Outlook PST splitter generates a log file report of entire PST files splitting procedure. Each and every step is saved in this file in CSV file format. An individual can save log report, assisting users in verifying total item count in processed Outlook file and resultant PST file. "This PST Split Tool is the best application to truncate oversized PST file into multiple small segments. Now there is going to be no hassle when someone ask for cutting down large PST file of any Outlook versions. There is no risk associated while working with this software." "I worked with many applications but, none of them satisfied my needs. Actually, I want to split PST file by year. Meanwhile I came across this product and believe me it is like dream come true while working with this tool. No matter what software works in a responsible manner." "No matter what kind of PST file one browse, tool works flawlessly with file of any size. I tested product under different circumstances and it passed all those situations in a smooth way. Kudos to the entire team of SecuraSoft for coming up with such a brilliant approach." "I was fed up of this PST file size issue and was deciding to switch my mailing account. Meanwhile, my technician told me that if I will regularly be splitting PST files then, this issue will get fixed. He also recommended me to use this product and I took his words. 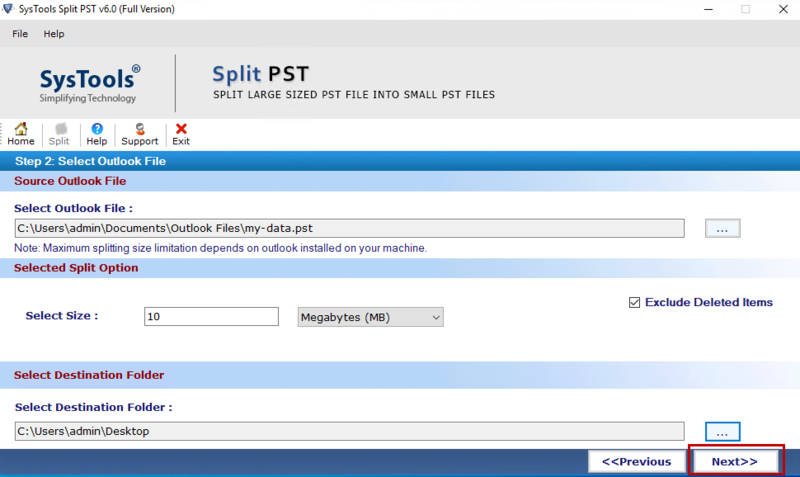 With help of this PST Splitter, I am able to break large PST file of Outlook 2013. And thus, I dropped the decision of switching my mailing platform"
Microsoft Outlook is most widely used email client, which is utilized by universal set of users. The application covers both business as well as home based clients. There is a major aspect from which a person needs to learn that longer use of Outlook integrates heavy amount of data. This data is saved in a single PST file format, a personal management file of Outlook. A situation occurs where this file starts misbehaving and causes one or the other error while working. 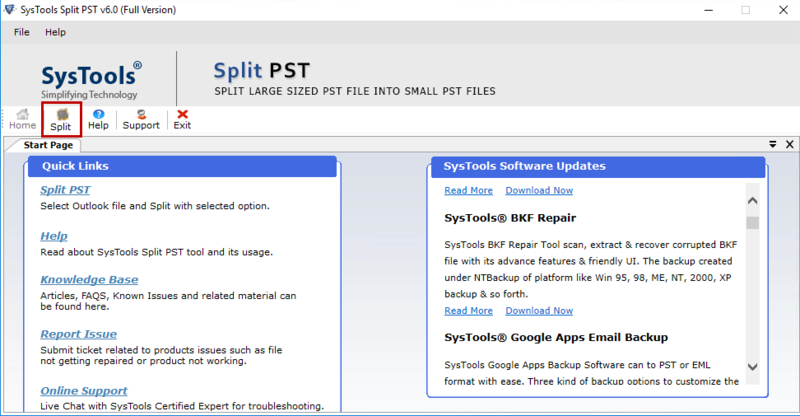 With SecuraSoft PST split tool, users will easily be able to break file of any Outlook version. It will help in smooth managing of an email client data in several PST files with an ease. Generally, the condition becomes hassled when the PST file exceeds the threshold size. When this problem occurs Outlook starts causing one or the other error while working. So, to get rid off such kind of issues, users need to reduce the size of oversized PST file. In such conditions, Microsoft Outlook file Splitter tool proves itself useful for a person. The firm is offering an ideal workaround to break PST file into smaller files without crossing any hurdles. It is designed with an easy-to-use GUI, which permits customers to truncate oversized PST files effortlessly. The product is a comprehensive approach to split large PST file of Outlook 2016, 2013, 2010, and all previous editions. How is Microsoft Outlook PST Split Software Beneficial? The splitter is a multifaceted application with several facilities present within it. It is capable of breaking PST file of unlimited size without any interruption. All useful options are provided to split PST file into two or more parts. The PST Splitter software also cuts archive PST file with all provided options. All PST file data items like emails, address book, events, etc., are broken. All the astonishing facilities are availed in this Outlook file Splitter, which is the foremost approach delivering finest measure to break large PST file. It is 100% guaranteed that all data will be same even after splitting operation. Users can test the product working by utilizing demo version of it. If in case, one is having any kind of doubt then, feel free to contact to SecuraSoft support team.